Coach Springer presents these scoring drills used by Kyrie Irving - NBA All-Star and 2012 Rookie of the Year, and 2014 NBA All-Star game MVP. Diagram 1. Irving attacks baseline but is cut off. He then spins back to the middle and shoots the jump shot. 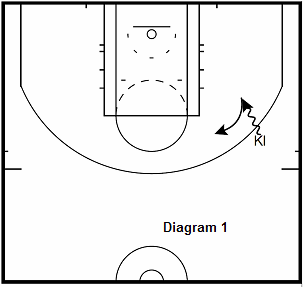 Drill: Make 20 on each side of the court. Diagram 2. Irving passes to the wing and runs through multiple screens (#) on the baseline. Diagram 3. He then recieves a pass for a catch and shoot at the wing after coming off the screens. 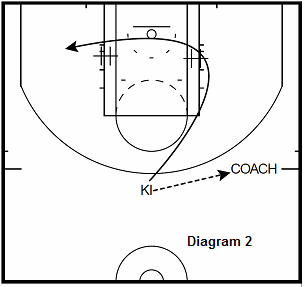 Drill: Make 20 to each side. Diagram 4. 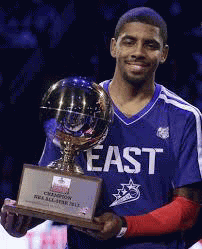 Kyrie runs into the high pick and roll (#) and attacks the hedge (cone). He then seperates with a cross back into a jumpshot. 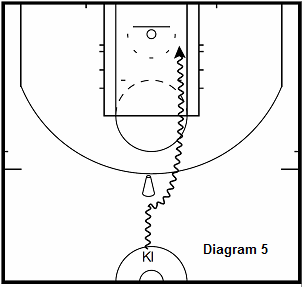 Drill: Make 15 going in each direction off the pick and roll. Diagram 5. 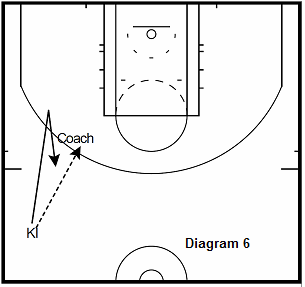 Irving gets an isolation in the tunnel and hits the defender (cone) with a in-and-out crossover. He then scoops the ball off the glass. 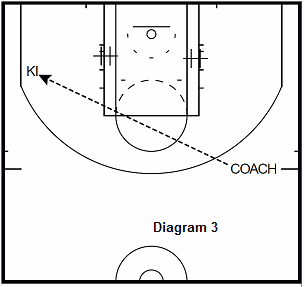 Drill: Make 20 going in each direction. Diagram 6. Irving feeds the post near the elbow. He then fakes a handoff from a cut and steps behind the 3 point line. The post player pitches back for a catch and shoot 3. 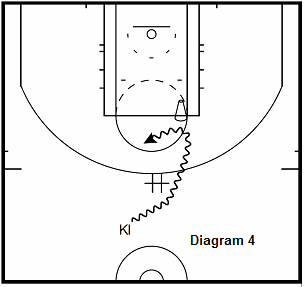 Drill: Make 20 on each side. Use a chair to take the ball from if you don't have a coach to pass to.